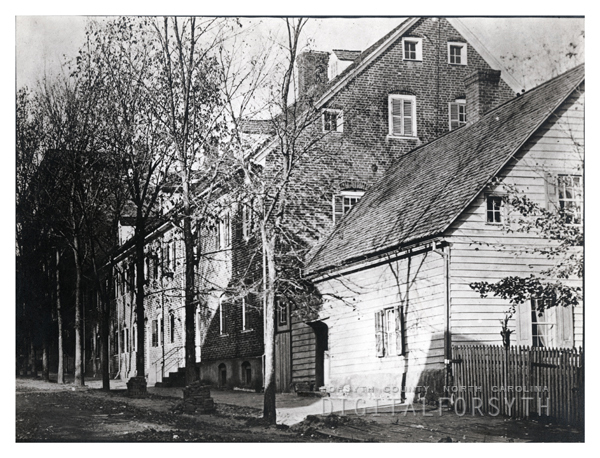 The Single Sisters’ House in Salem was built in 1786 to house the Moravian congregation’s unmarried women. This view of the Single Sisters’ House was taken from the south on Church Street. The Single Sisters' House in Salem was built in 1786 to house the Moravian congregation's unmarried women. This view of the Single Sisters' House was taken from the south on Church Street.